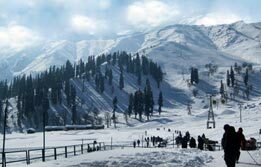 The coldest desert in the world, Ladakh is the land of high mountain passes. 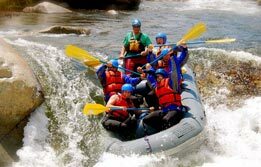 Due to its rugged and extreme landscape, the region is perfect for adventure lovers to derive their share of excitement and fun in the Ladakh adventure tour. 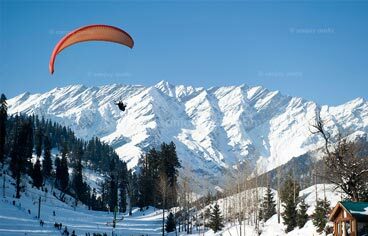 Excellent hiking and paragliding opportunities here are also a great reason why tourists prefer to visit this hidden Shangri-la. 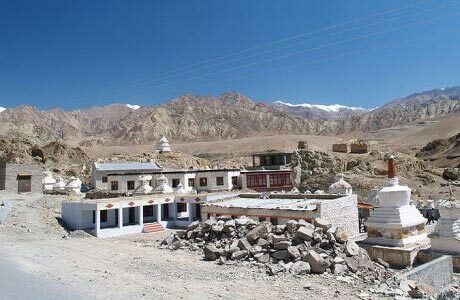 Here, tourists in addition to adventures on the snowy peaks can also avail a sense of serenity with the Buddhist aura in the monasteries and Ladakhi way of life in the remote village setting of the region. On arrival at Delhi airport, meet India Budget Tours representative who will assist your transfers to your hotel for overnight in Delhi. After breakfast, step out for Delhi's sightseeing. In the historic side of Delhi you will see the monumental heritage of Old city's Jama Masjid, the largest Indian mosque; the Red Fort, an impressive red sandstone edifice laid by Mughals and Chandni Chowk heritage avenue and marketplace. Visit nearby memorial to Mahatma Gandhi, Rajghat. 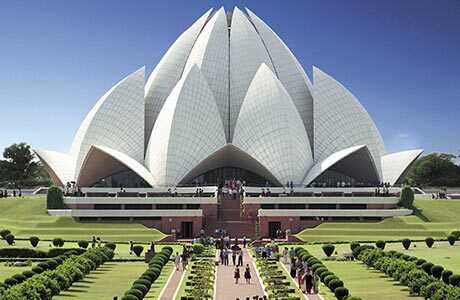 After lunch, venture towards New Delhi wherein you visit Humayun's Tomb, Qutub Minar and the Bahai Temple shaped in blooming lotus. Visit India Gate, the arched gateway memorial, Parliament House and the President's mansion as a part of Lutyens Delhi tour. 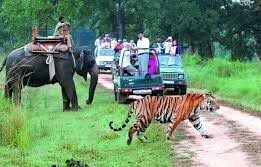 In the evening, seal the deal with the best shopping deals in crafts emporiums of Delhi and complete the city tour. Return to the hotel for overnight. Transfer to the airport to board the flight towards Leh. 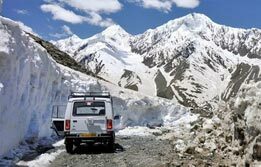 A representative will receive you upon arrival and transfer to towards the hotel for rest and acclimatization to the altitude and rarified air of Ladakh. Overnight in Ladakh. Drive to Dahanu Valley, where the Drokpa, the descendants from Tibet live. Religionwise, they are Buddhists, but culturally and racially are different from the rest of the inhabitants of Ladakh. On this day, also visit Dah and Beema, two of the five villages inhabited by the Drokpa people. 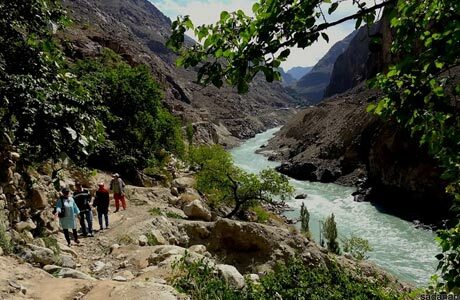 Later drive down the Indus valley between Khaltse and the Shyok - Indus confluence to spot the panoramic views on the way to our camp at Beema. After breakfast, make an excursion towards the villages of Ladakh and meet the locals of Drokpa tribe. They are a small community of about 2000 people whose features are pure Indo-Aryan, and they have preserved their racial purity down the centuries. Stay overnight at the camp at Beema. After breakfast, drive back to Leh and see the picturesque villages of Achinathang and Skurbachan on the way. Also stop to see the impressive Basgo Fort. Stay overnight at the hotel in Leh. After an early breakfast; drive for around 7 hrs to Pangong Lake. 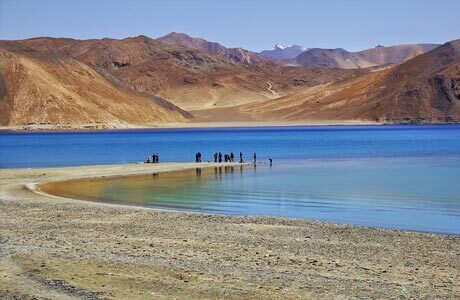 Located at an altitude of 14,000 ft., Pangong Lake is approached by a road that crosses the Chang La Pass (18,000 ft.) and scenic villages. Stay overnight at a camp on the edge of Pangong Lake. 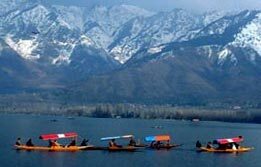 After breakfast, explore the 130 km long lake, which is divided by the Indo-Chinese border. Also see the settlements of the Chang Pa tribe, who are nomadic herdsmen who migrate from Ladakh to Tibet and back, as the seasons change through the year. Stay overnight at the tented camp on Pangong Lake. After breakfast we drive back to Leh (7 hrs.) Check into hotel and relax. Stay overnight at the hotel. 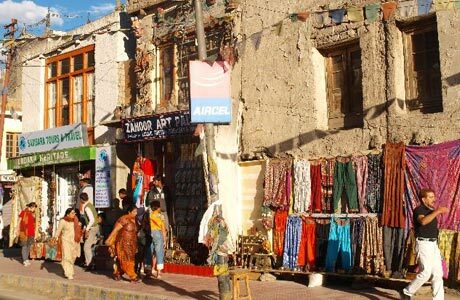 Spend a relaxed day in Leh and explore Leh bazaar. You can shop for Ladakhi curios, masks, prayer wheels, clothing, Buddhist artifacts and other souvenirs. Return to hotel to stay overnight. After breakfast, leave for a day's sightseeing of the Alchi monastery and Likir Gompa. 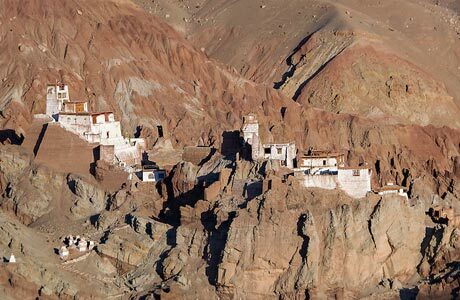 The Buddhist heritage of Ladakh can be seen at these religious sites. Return to hotel to stay overnight. After breakfast you will be transferred to the airport to board the flight to Delhi. Our representative will meet you in Delhi and help you to transfer to the international airport for your flight to your onward destination. 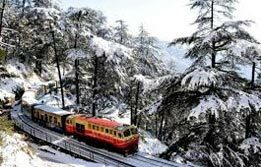 Room on sharing basis at each place as per itinerary. Hotel check in 1400 hrs / check out at 12:00 hrs.